Project digital twin data is visualized with the HoloLens 2 via Bentley's connected data environment, powered by Microsoft Azure. With the mixed reality solution, construction managers, project schedulers, owner operators, and other project stakeholders can gain insights through immersive visualization into planned work, construction progress, potential site risks, and safety requirements. Additionally, users can interact with the model together and collaboratively experience 4D objects in space and time, as opposed to traditional interaction with a 2D screen depicting 3D objects. Noah Eckhouse, senior vice president, project delivery for Bentley Systems, said, "Our SYNCHRO XR app for HoloLens 2 provides a totally new way to interact with digital twins for infrastructure projects. Users benefit from a new perspective on the design and a deeper, more immediate understanding of the work and project schedule. Instead of using a 2D screen with a mouse and keyboard, the user can now walk around the model with their body and reach out and grab digital objects that appear to co-occupy physical reality. This is a powerful way to review work that is completed and to prepare for upcoming work at the jobsite." Menno de Jonge, director of digital construction for the Royal BAM Group, said, "We are currently using SYNCHRO and HoloLens 2 mixed reality solution for the construction site for a large museum project in the city of Rotterdam. The real need for a digital transformation in our industry is about avoiding rework at our construction site. Using this technology, we can easily visualize the construction schedule. Then, we can see if we are behind in schedule, we can flag any potential problems or issues, look into the problems, and get back on track." Alex Kipman, technical fellow, AI and mixed reality at Microsoft, said, "The newly announced Microsoft HoloLens 2 is a self-contained holographic computer that enables hands-free, heads-up interaction with digital models. It builds on the breakthrough innovation of HoloLens and is even more immersive, more comfortable and delivers industry-leading value right out of the box with partners like Bentley. 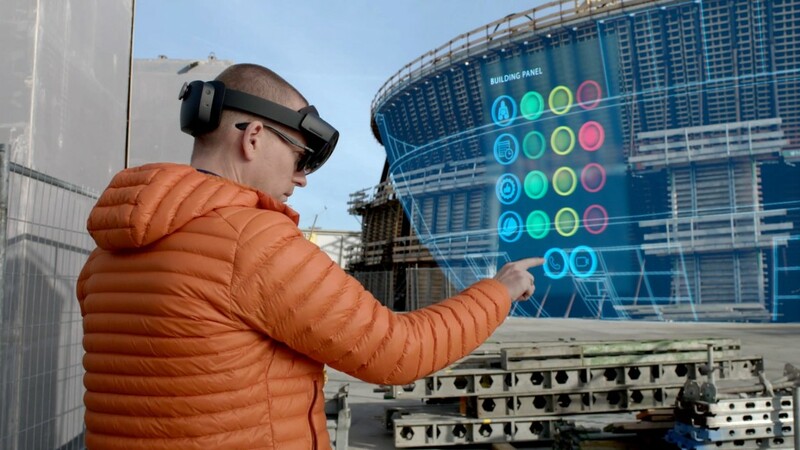 We're excited to work with Bentley, a mixed reality partner, to provide the opportunity for customers to take advantage of the HoloLens 2 and SYNCHRO XR technology to experience a new dimension of creativity and teamwork for their AEC projects." Microsoft's Mixed Reality Partner Program is focused on enabling and supporting solution providers who are committed to building mixed reality solutions. Upon acceptance to the program, Microsoft provides training, technical assistance, sales and marketing enablement, and business planning.